Céline CHOURLET was born in 1969 in the surroundings of Paris. She used to draw and paint as a child, in particular in her father’s marvellous garden filled with a large variety of flowers and vegetables. 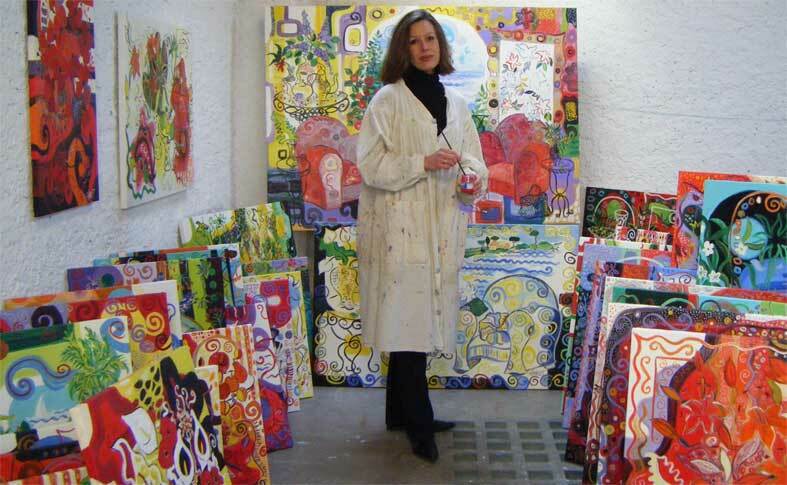 The first exhibition of her work took place when she was 16 year old. At 18, CHOURLET moved to Provence. She quickly felt fascinated by the light and colours of the region. 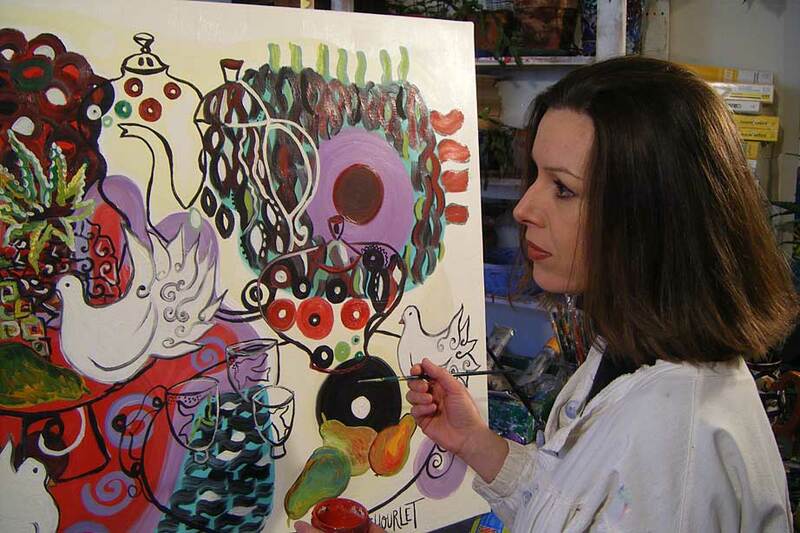 During that time, CHOURLET exhibited her work in TOULON and CASSIS. She then decided to move to Britanny where she met Jean-François DUCOS. Jean-François bought a few coloured paintings and helped CHOURLET by introducing her to gallery owners who rapidly sold the works she had produced. 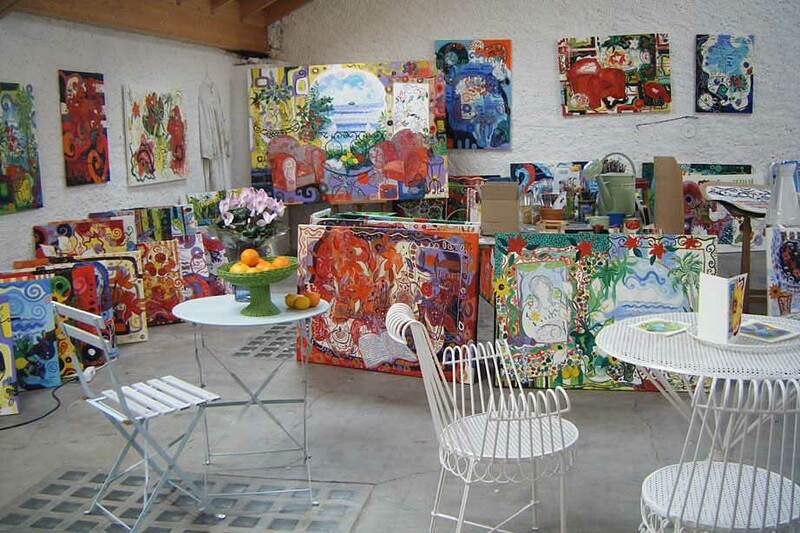 She then moved to a larger place close by LORIENT to pursue her work. 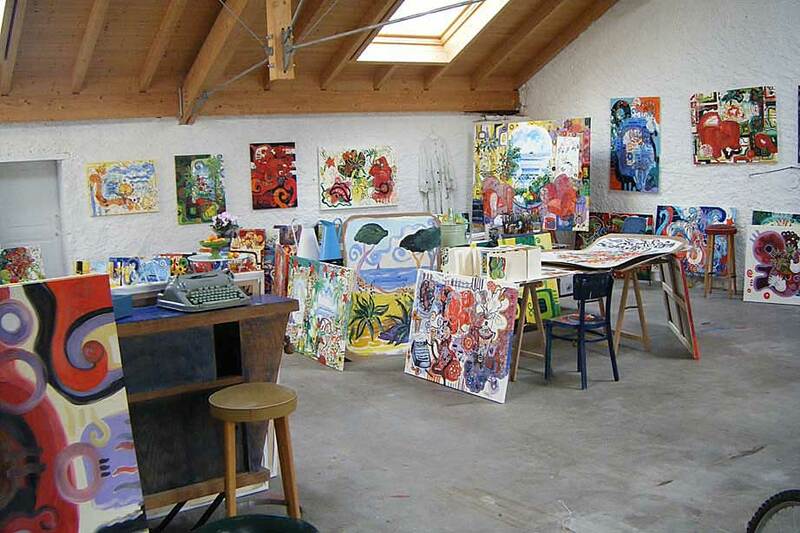 In 1991, Céline CHOURLET and Jean-François DUCOS partnered to open a CHOURLET permanent gallery in PONT-AVEN. Two years later, given the success of the first gallery, they opened a new art gallery in Paris located at n°4 PLACE DES VOSGES and expanded to n°2 PLACE DES VOSGES in 1996. Céline CHOURLET worked on the Ile-de-Ré in 1997 and 1998. Additional galleries were opened in LUXEMBOURG (1998) and VENCE (1999). There also was a large CHOURLET exhibition in TOKYO in October 2000. Another permanent CHOURLET gallery should open soon in NEW-YORK.